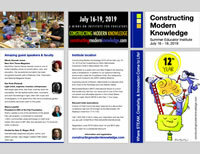 Constructing Modern Knowledge is coming back July 16-19, 2019! Constructing Modern Knowledge 2018 is now history. 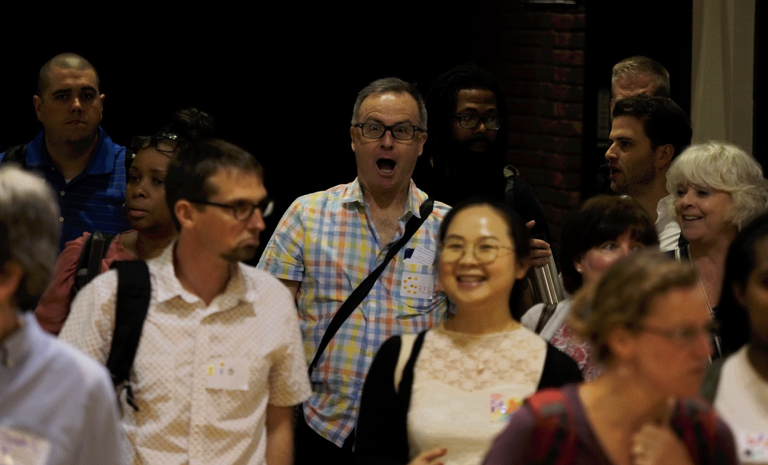 On July 10-13, educators from more than a dozen countries descended upon Manchester, New Hampshire for our eleventh annual institute. 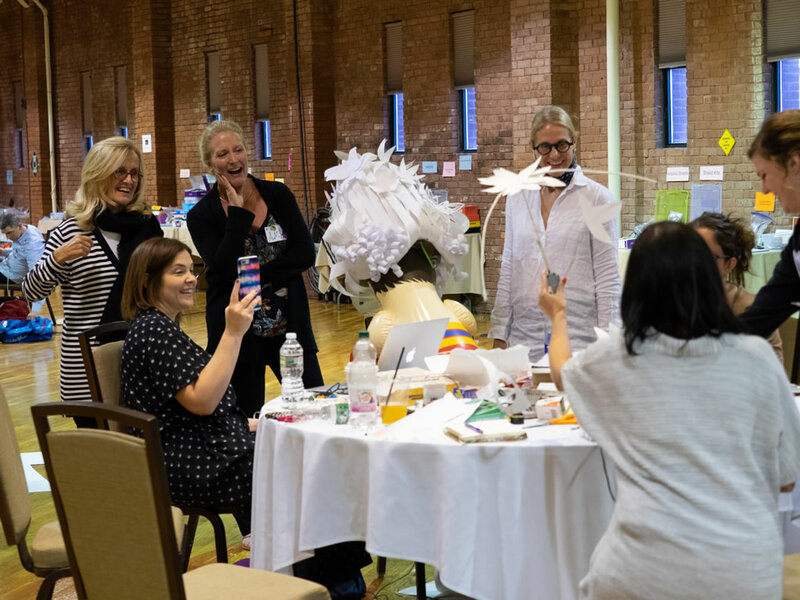 Once again, the variety and quality of projects created was breathtaking and the messages shared by our guest speakers will continue to inspire for some time. 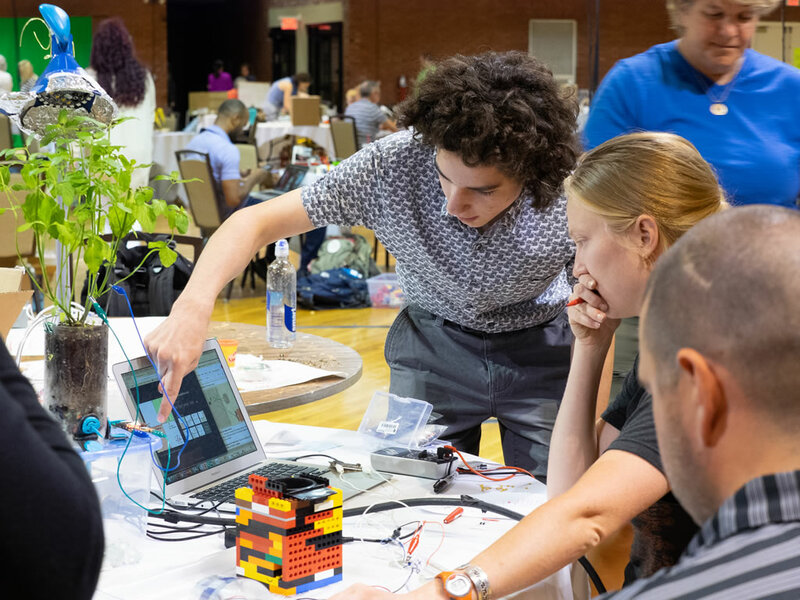 CMK 2018 was where educators could spend four days working on personally meaningful project development combining code, cutting-edge technology, and timeless craft traditions. 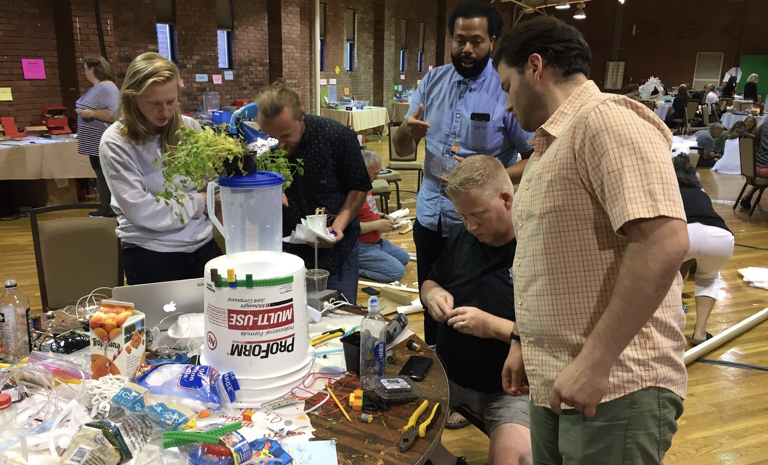 For eleven years, CMK has demonstrated the creativity and competence of educators while challenging accepted notions of what is possible in classrooms today. 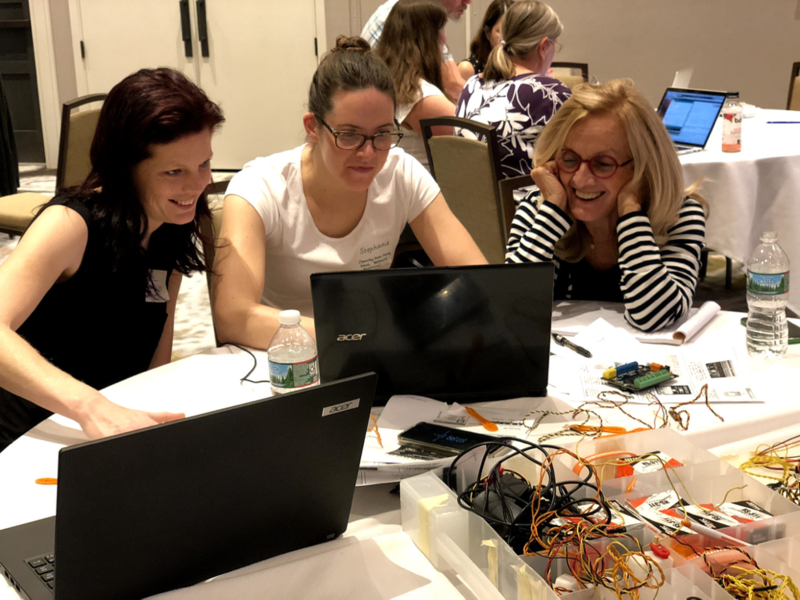 Participating educators learned to program microntrollers, design their own software, fashion wearable computers, make films, invent fanciful contraptions, bring history to life, 3D print their creations, embed micro:bits in working machines, and much more. 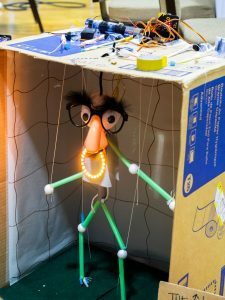 Each year, teachers with little or no computing or engineering experience create projects that dazzle in their sophistication, complexity, creativity, and even beauty. When you liberate the learner lurking inside of teachers, they create the conditions for amplifying the potential of each student. Unlike conferences where you sit through a series of lectures, CMK is about action. However, project work is punctuated by a conversation with an accomplished expert or thought leader. 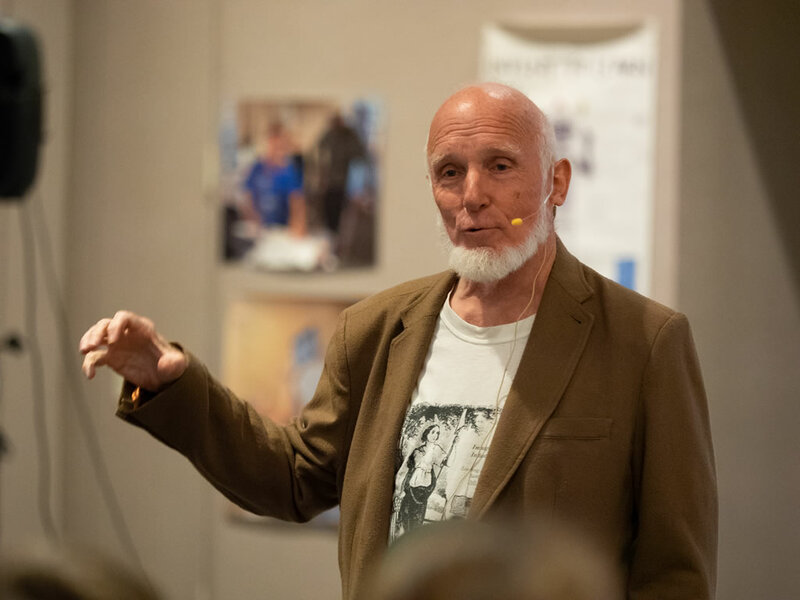 CMK has long punched above its weight when it comes to our guest speakers who include a remarkable assortment of educational visionaries, technology pioneers, and experts in fields your guidance counselor never imagined. We pride ourselves in offering educators opportunities to spend time with their heroes, rather than watch them speak. After a great deal of effort, we were able to convince Carla Rinaldi, President of the Reggio Emilia Foundation, to return to Constructing Modern Knowledge. For my money, Professor Rinaldi is perhaps the world’s wisest living educational philosopher. 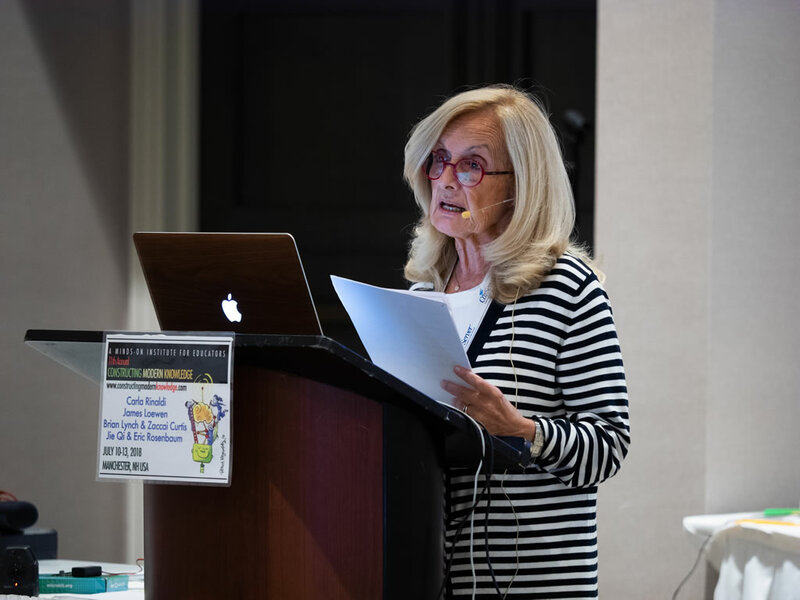 She shared a powerful and deeply moving message of respect for children, listening, and community based on more than forty years of leadership in what is often considered the best schools in the world, the municipal preschools of Reggio Emilia, Italy. In addition to her inspirational talk, Carla spent the entire institute with us. It is rare enough to hear her speak in North America, but remarkable to spend time learning, talking, listening, and laughing with her. You may watch video of the presentation here, but it cannot possibly replace the emotional experience of being in the same room with her and feeling her words live. Once again, Constructing Modern Knowledge ventured to the MIT Media Lab for a cupcake reception and terrific presentations by post-doctoral inventors and innovators, Eric Rosenbaum and Jie Qi. Eric has been a longtime favorite of CMK participants who pitched in for the fourth year and Jie came to Manchester the day following her presentation to interact with participants and admire their projects. 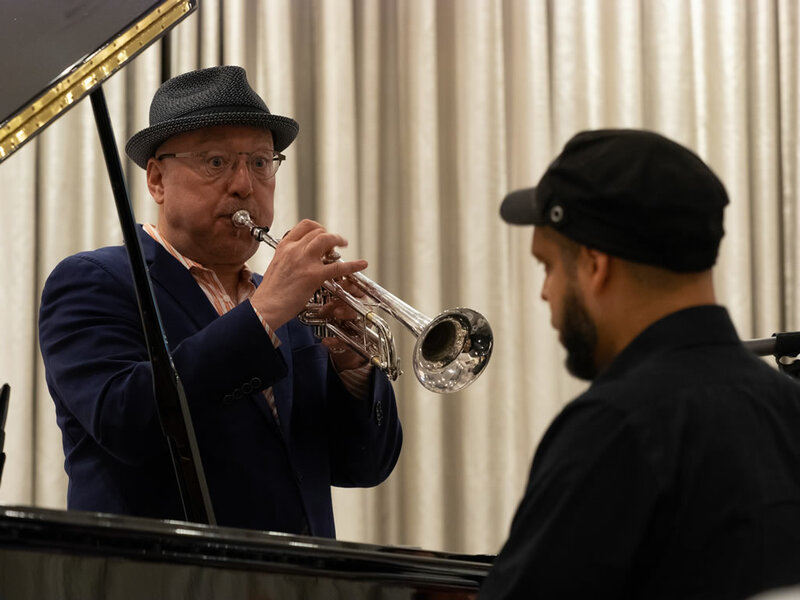 Our final guest “speakers” were Grammy Award winner, Brian Lynch, and Grammy nominee, Zaccai Curtis in a trumpet/piano jazz duo masterclass. Sylvia Martinez and I created Constructing Modern Knowledge a decade ago to build a bridge between the learner-centered ideals of progressive educators and the modern knowledge construction opportunities afforded by new technological material. Many thanks to Brian C. Smith for fantastic support and photography!